FaceID is the new technology Apple Introduced in their last iPhoneX event on Sept 12th. This new technology will replace the well-known TouchID which is currently being used by millions of iPhone owners. Here are 5 things that you need to know about FaceID. 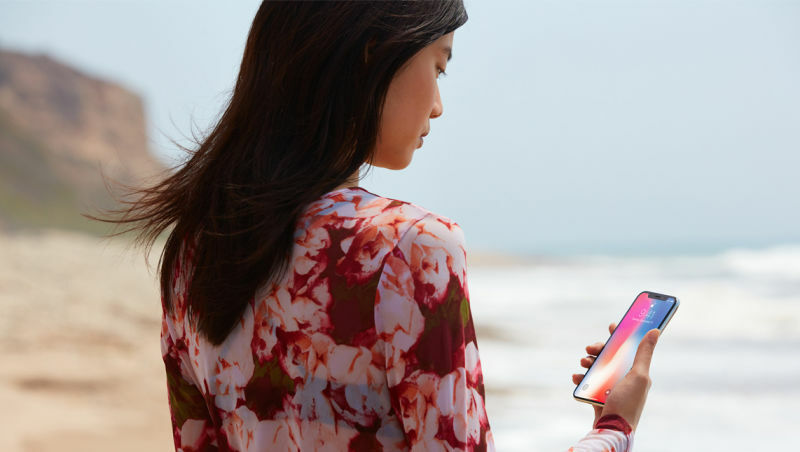 #1 – Apple introduced FaceID as a more natural way to unlock your phone or using ApplePay. You only need to look at the device to unlock it rather than touching the old home button. According to Apple, using FaceID is more secure that the TouchID. In fact, TouchID had 1 in 50,000 chance of unlocking your phone for the wrong finger print. On the other hand, FaceID has 1 in 1,000,000 chance of doing so. #2 – iPhoneX uses a TrueDepth camera system to make FaceID happen. The TrueDepth technology creates a detailed depth map of your face, which gets processed in real time to unlock your phone. The main 3 components of the TrueDepth technology are the Infrared Camera, which is used to read the dot pattern and sends the data to the A11 Bionic chip to make the match, the Dot Projector, which projects more than 30,000 dots onto your face to build the facial map, and lastly the Flood Illuminator, which is an invisible infrared light that helps identify you in low light conditions. #3 – The facial map created by the TrueDepth technology is unique to you, and only you. Photos of you or even masks will not work. Don’t worry, your significant other won’t be able to use your picture to unlock your iPhoneX! One other thing to note is that just like TouchID finger print, FaceID facial map are encrypted and protected, and the authentication happens only on the device, so there is nothing that gets stored on the cloud. #4 – FaceID is smart, it will know that its you no matter what. The A11 Bionic chip uses machine learning to identify any changes in your face. Like if you were wearing a hat, shaved your Movember beard, or took off your glasses because you had LASIK! But if you have a super identical twin, we might have a problem! #5 – Like I said, FaceID is smart. It know when you’re looking at the phone and what to do. If you are not looking at the phone, or looking but your eyes are closed nothing will happen and it will not unlock. So, no one can unlock your phone while you’re sleeping by using your finger’s fingerprint. In addition to that, if you have notifications on the screen, FaceID will reveal their content to you once you look, and will hide it again when you look away. Finally, if you got a phone call or setup an alarm, FaceID will lower the volume once you look at the screen, it knows you are here now so why keep that alarm screaming at you! Update: In a response email from Craig Federighi to a developer, Federighi said ” … if you grip the buttons on both sides of the phone … it will temporarily disable FaceID”. Also, he mentioned that FaceID will work with most sunglasses which let through enough IR light. I’m very excited to try out this new technology from Apple. Its been a while since we had something as exciting as this from Apple. Let me know what do you think about the new FaceID, I think its going to be awesome!